Care:Machine wash; Lay flat to dry. 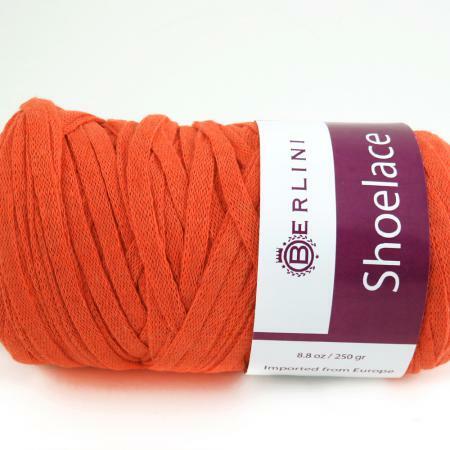 Berlini Shoelace yarn is a versatile super-bulky yarn that can be used for many crafts, home décor items and accessories. Soft yet strong and durable, it makes excellent bags, baskets, blankets, bath mats, rugs, accessories and shoelaces.